Written by: Dr M. Usmani on November 19, 2018. Freedom of information is not only a human right, but also an essential tool to engage and empower citizens to demand accountability from governments, and fight corruption. That is why ‘right to information’ (RTI) and the relevant laws, as well as the associated institutions have become a symbol of a society’s commitment to good governance. 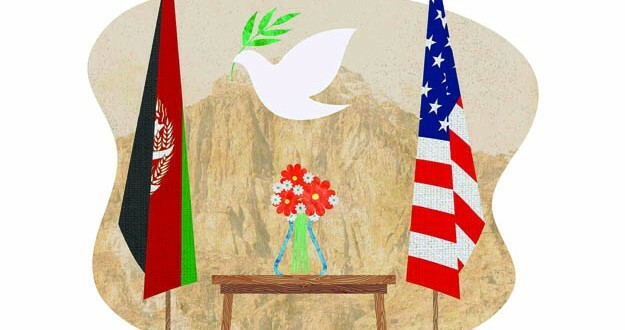 International experience indicates a strong link between effective RTI laws and good governance. This also explains the growing popularity of RTI laws the world over. Only 19 countries had RTI laws before 1995 and the number has reached around 120 today. The United Nations Human Rights Committee recognises the right to information as a ‘human right’. 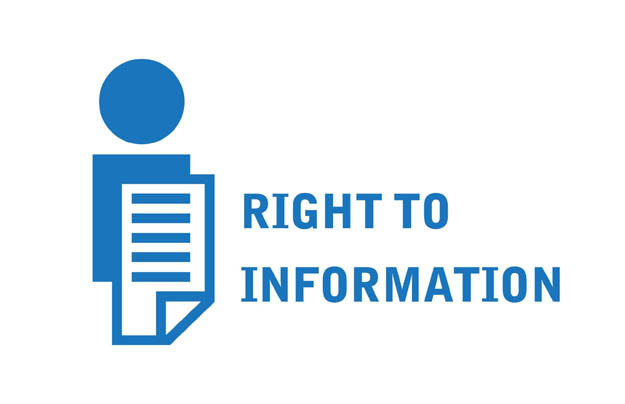 Right to Information (RTI) refers to the right of citizens to access information held by the government that documents its actions, functions, expenditure, and so on. The RTI lies at the heart of good governance, of democratic values and the protection of human rights. Citizens can exercise this right by filing a complaint if they are denied access to the information they seek. The RTI law would compel the government to ensure that their offices are properly staffed, funded, trained and equipped to facilitate citizens’ access to official information. The UN Convention Against Corruption (UNCAC) also sets obligations for States Parties concerning access to information, which match the rights enshrined in the ICCPR. UNCAC access to information rules consist of several articles. According to Article 13, State Parti have to provide effective access to information upon request. Article 13 also encourages proactive disclosure of information by governments. 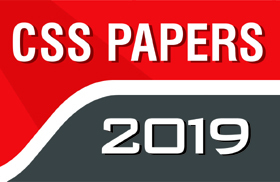 Other articles, too, include disclosure requirements: Article 5 (preventive anti-corruption policies and practices), Article 7 (public sector, election and funding of political parties), Article 9 (public procurement and management of public finances) and Article 10 (public reporting). The RTI has also been a key element of sustainable development since the 1992 Rio Declaration. In the UN Sustainable Development Goals (SDGs), access to information held by public bodies has been recognised as a necessary enabling mechanism for public engagement across the goals and specifically incorporated into Goal 16 as well as implicitly as into many other goals and targets. This indicates that the majority of countries consider it important to spell out in detail how this right is exercised and to set obligations for public authorities to promote, protect and implement it in practice. Right to information is an essential anti-corruption tool as it enables detection of corruption. Media, non-governmental organisations, businesses and ordinary citizens can request and receive information and thereby find out about abuses of power in a wide range of areas, including public contracting, use of public funds and exercise of public authority. Freedom of information empowers all users of this right not only to detect corruption, but also to prevent corruption or seek remedies for wrongdoings using the information they have obtained. The right to information can help counter corruption in the delivery of public services such as health care, housing, public education and social benefits, as well as in other interactions with the state, for example, when a public body is buying services, provides permits for constructions or industrial activities, sells public property or appoints individuals to public offices. In the wake of the 18th amendment, the Article 19-A was inserted in the Constitution of Pakistan, 1973, for the promotion of transparency leading to eradication of corruption at levels of the country. Following the amendment, the provincial supplementary legislation was passed firstly by Khyber Pakhtunkhwa (KP), followed by Punjab. Sindh also did it in 2017. The purpose of the introduction of the right to information laws in Pakistan is to make the general public aware of public spending by their public and semi-government departments. After the promulgation of provincial legislation, Information Commissions were notified in Punjab and KP for dealing with complaints of the general public filed against departments that failed to address or reply to queries and questions of the general public within prescribed time in provincial laws. The Government of the Punjab had notified the Punjab Information Commission in 2013, and, after that, rules were notified in 2014 for addressing complaints of the general public. The tenure of three years of Punjab Information Commission completed in 2016, and the commission is vacant until today. However, the KP Information Commission is very much active and has been playing an effective role in the province for bringing transparency within all governmental and semi-governmental departments. If we look at the brief history of the right to information in the region of South Asia, the Indian law dealing with the right to information is very much active since 2005, and it has produced excellent results for the Indian democracy. For instance, Chief Minister of Delhi, Arvind Kerijwal, played a pivotal role as an RTI activist before his entry into politics. Before the promulgation of the right to information law, the Government of India in 2005 had ratified the UN Convention Against Corruption (UNCAC) and, therefore, had an obligation under Articles 7 and 12 to take pro-active measures to enhance accountability of the public and private sector. In fulfilment of its international obligation, the Government of India passed a supplementary law and notified an Information Commission at the federal level. 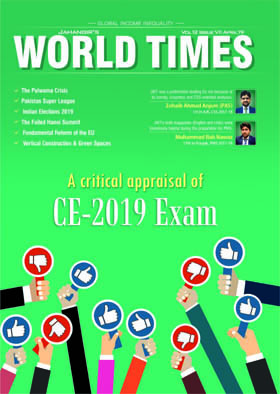 In Pakistan, there is no such Information Commission at the federal level; however, the Federal Ombudsman of Pakistan has the mandate of addressing complaints of those who were being refused information by any federal government department. Furthermore, under the newly-enacted federal legislation, the government is duty-bound to notify to a commission at the federal level for dealing with the right to information complaints. Until today, there are 140 signatories and 183 parties of above-mentioned UN Convention. Pakistan signed it in 2007 — almost two year after India. To the contrary, Pakistan signed the Convention Against Corruption in 2007 and introduced Article 19-A in the Constitution in 2010 — nearly five years after the introduction of UNCAC. Right to information has been instrumental in exposing corruption and bringing greater transparency in Pakistan and India. Article 19-A played a role in making of Model Town massacre inquiry report public. 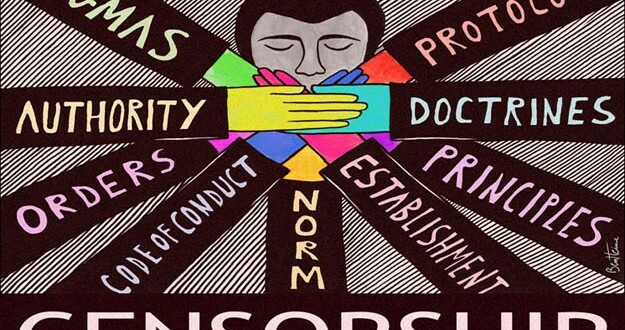 The use of the right to information law is slowly but gradually spreading among citizens. The Asian Forum for Human Rights and Development recently reported that 68 RTI activists had been killed since 2005 and 365 more have been assaulted, harassed or threatened. Nanjibhai Sondarva, a 35-years-old resident of Manekwada village in Kotada Sangani Taluka of the Rajkot district of Gujarat, was found dead on 9 March 2018. He and other members of his family were reportedly assaulted one and a half years ago by the village sarpanch, who was targeting him for exposing financial irregularities in developmental works undertaken in the village. These killings are the most recent instances of attacks on RTI activists. They are an indication of a broader trend of shrinking democratic space, rising intolerance and derogation of the rule of law in India. A culture of impunity is becoming normalised, which makes RTI activists even more vulnerable to threats, intimidation, harassment and murder. There is little access to justice since the Indian government has failed to impose serious measures to protect the life and liberty of these activists. Considering facts mentioned above, the Indian right to information law is actively practiced by the Indian citizens to curb corruption and bring financial irregularities to public attention. The use of right to information law across Pakistan is on the lower side in comparison to India. In Pakistan, the RTI law is seen as rebellious, and people tend to stay away from practicing it without any apparent justification. The Indian students have actively practiced right to information law for getting copies of their exam papers and marking standard rules. Even government servants in past years had used it for getting seniority lists, etc. Interestingly, President of Mumbai’s Congress Unit Sanjay Nirupam has claimed that an average of 18,591 cups of tea are served in the Maharashtra Chief Minister’s (CM) office daily, amounting to a cost of over Rs 3.4 crore in the year 2017-18. In what is being labelled a ‘tea scam’, Nirupam has alleged a 577 percent increase in the money spent on the tea served at the CM’s office from 2015-16 to 2017-18. This tiny little information is beneficial and effective for making system of governance transparent. The culture of seeking information from the government departments needs to be promoted. If Pakistan is to strengthen democracy and eradicate corruption, then the right to information law is to be accepted wholeheartedly. Any plan to curtail or weaken provincial and federal right to information laws should be resisted. The global right to information community has been struggling for many years with designing a methodology that could assess the implementation of RTI laws and allow for comparison. Beyond weak laws and a hostile freedom of expression environment, numerous issues can hamper the exercise of the right to information. These include unnecessary formal requirements for filing information requests, mandatory identification of requestors, high administrative fees, lengthy response time frames or silence from public bodies, tedious and lengthy appeal procedures, undue influence over review forums, bad information management by public bodies that prevents them from providing answers, insufficiently trained personnel of public bodies and a culture of secrecy. 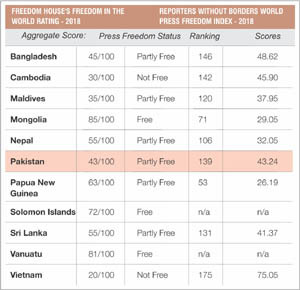 Pakistan’s record in the field of freedom of expression and of the media shows that exercising the right to information can be rather challenging and often risky. However, there is a legal infrastructure in place. The Constitution of Pakistan recognises the right to information as a fundamental right: “Every citizen shall have the right to have access to information in all matters of public importance subject to regulation and reasonable restrictions imposed by law.” The Right of Access to Information Act 2017 (RTI Act 2017) follows this rule and guarantees the right of access to information only for citizens. Aside from the federal level legislation, the RTI Act 2017, provinces have their own right to information laws. RTI Act 2017 will certainly improve the right to information law established by the Freedom of Information Ordinance, 2002. It contains strong provisions pertaining to the proactive disclosure of information, indexation and computerisation of records and the establishment of an independent, autonomous information commission. Broadening the scope of the definition of public body, it also brings NGOs within the purview of the law. The RTI Act 2017 defines “record” and “public record” narrowly as it does not offer a broad definition that covers any information, record or data held by public authorities. Instead, it provides a list of various types of documents, leaving anything that is not listed outside the scope of the definition. However, the “right of access to information” is much broader as it means “the right of access to information accessible under this Act which is held to by or under the control of any public body and includes the right of access information, documents or record in digital or printed form, as the case may be.” It is unclear how the two concepts will interact in practice. Furthermore, there is also an extensive list of records of all public bodies that are declared unavailable to the public. This “exclusion of certain record” includes records relating to defence forces, decision-making information and minutes of meetings. This post has been seen 451 times.